Product prices and availability are accurate as of 2019-04-19 09:30:29 UTC and are subject to change. Any price and availability information displayed on http://www.amazon.com/ at the time of purchase will apply to the purchase of this product. Rutherford controls 0162 32D surface mounted rim exit device electric strike designed especially to operate with rim exit devices. The 0162 is completely surface mounted, no more cutting of the frame. The rugged stainless steel design accommodates hollow metal, aluminum and wood door frames. The one piece conventional keeper promotes even load distribution in the event of an attempted forced entry. The 0162 heavy duty housing is reinforced to eliminate twisting in the case of imperfect frames. The esthetically pleasing design even takes into consideration personal injury because its smooth radius design reduces chances of catching. 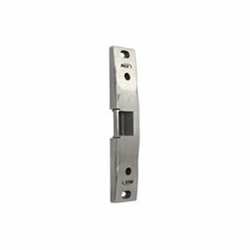 Compatible with most major exit devices and accommodates exit devices with latch projections (from 1/2-inches to 3/4-inches). 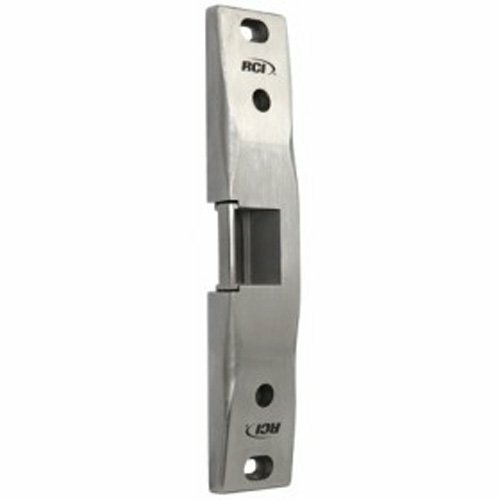 Ensures proper latch alignment with horizontal adjustment up to 1/4-inches to compensate for door misalignments. Allen head cap screws included for added support and tamper-resistance. Field selectable voltage input - 12 or 24VDC and 12 to 24VAC (even 11 to 16VAC). Horizontal solenoid prevents manipulation by vibration. 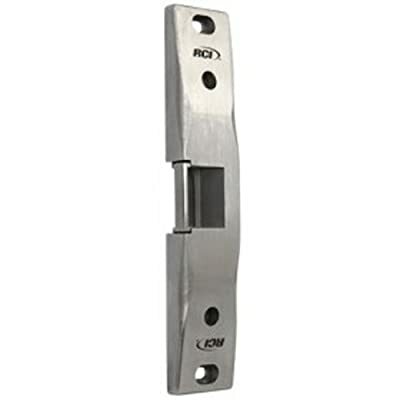 Higher grade stainless steel and selectively brushed stainless steel finish ensures superior keeper strength. Modular plug-in wire connectors. Non-handed for right or left hand doors. Manufacturer tested to over 4 million cycles. 1/16-Inches thick spacer included. UL listed to 1500 lbs of static strength. Electri strike rim exit devices used in commercial centers, industrial buildings, educational facilities, retail outlets, health, care facilities and office complexes. 5 year limited warranty.